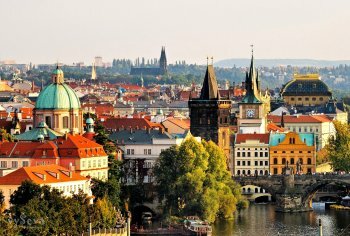 Transportation moving relocation to Czech Republic or Slovenia or Slovakia. You have come to reliable moving company. How to move with things when moving abroad? For us it is not a problem, we will provide a prompt and comfortable transportation to any point on the highest level. Maximum comfort, minimum worries. Qualified international moving and transportation of personal things and furniture to Czech Republic and Slovenia and Slovakia. Selecting trucks depending on the volume. Paperwork for customs at border crossings, full support, service "door to door". Insurance of your property. Long-term experience of our company enables us to provide full range of services when moving to a full guarantee of safety of your things. Regarding international removals, please contact our managers send us a message using the form of communication. Freight shipping and transportation CargoRiga, 2012.